Mike Duffy, ISU Extension Economist, provides information on the Farm Financial Planning Program. Farm Financial Planning is Iowa State University Extension’s farm financial analysis program. It consists of one-on-one confidential financial counseling, a computerized analysis of the farm business, and referral to other extension programs or outside services that may be useful. Farm Financial Planning helps you evaluate your farm business and determine whether or not a change is desirable. It provides an in-depth plan for the farm business so the operator and the lender can make decisions for the future. The computer analysis looks at profitability, liquidity, solvency, and risk-bearing ability. This information is provided for three or more alternative plans at a time. Examples of alternative plans could be the addition, expansion or phasing out of a livestock operation, or buying, selling or renting land. Farm Financial Planning can help evaluate ways to correct negative cash flow and profitability problems. A trained extension associate meets with the family to discuss the results of the analysis and the possible effects if changes are made. The extension worker may introduce other farm and family financial materials or information about outside sources of help. The service is currently available at no charge through a grant made possible by CF Industries. To set up an appointment, contact the associate in your area. For more information, contact your ISU Extension county office or the Beginning Farmer Center at 1-877-232-1999. Find the Farm Financial Associate in your area and more information at: http://www.extension.iastate.edu/farmanalysis/. Client Corner: Where can I find cash flow spreadsheets? Where would I go to find easy-to-use cash flow spreadsheets for my farm operation? 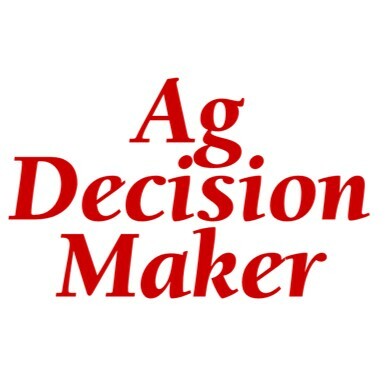 The Ag Decision Maker web site provides several options for cash flow spreadsheets, ranging from a simple projection to a detailed multiple crop option. Information Files are also available to provide assistance in understanding cash flow analysis. To see the options available, visit: http://www.extension.iastate.edu/agdm/decisionaidswd.html#f. The video below will guide you to the cash flow spreadsheets available on Ag Decision Maker. 2 Comments on Client Corner: Where can I find cash flow spreadsheets?